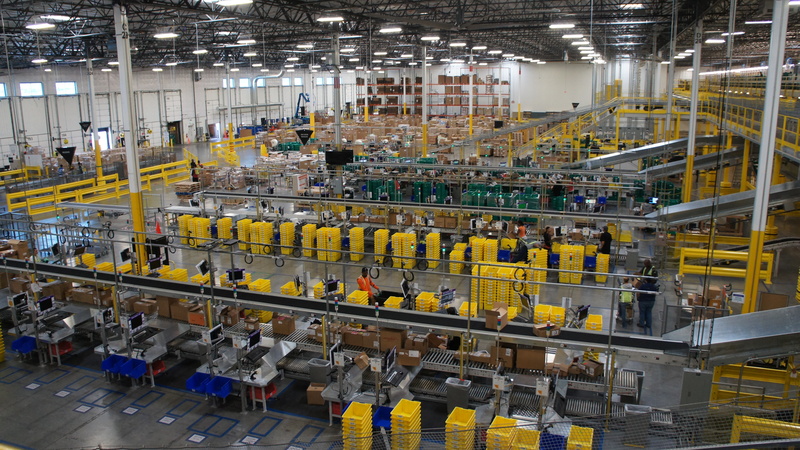 Even as manufacturing jobs have plateaued or fallen in certain communities, one of the employment bright spots has been the rise of distribution centers and super warehouses constructed by Amazon and other mega retailers to accommodate the steady rise of online shopping. In my own region, the opening of Amazon distribution centers in Maryland and Delaware were met with accolades by local business development officials, who figured that new employment opportunities for entry level workers would soon follow. And they have … to a degree. But what many people might not have expected was the rapid rise of robotics usage in warehouse operations. In just the past few years, Amazon has quietly gone about purchasing and introducing more than 30,000 Kiva robots for many of its warehouses, where the equipment has reduced operating expenses by approximately 20%, according to Dave Clark, Amazon’s senior vice president of worldwide operations and customer service. An analysis by Deutsche Bank estimates that adding robots to a new Amazon warehouse saves approximately $22 million in fulfillment expenses, which is why Amazon is moving ahead with plans to introduce robots in the remaining 100 or so of its distribution centers that are still without them. Once in place, it’s estimated that Amazon will save an additional $2.5 billion in operating expenses at these 100 facilities. Of course, robots aren’t exactly inexpensive pieces of equipment. But with the operational savings involved, it’s clear that adding this kind of automation to warehousing is kind of a slam-dunk decision. Which helps explain another move that Amazon made in 2012. It decided to purchase the company that makes Kiva robots — for a cool $775 million. And then it did something else equally noteworthy: it ceased the sale of Kiva robots to anyone outside the Amazon family. Because Kiva was pretty much the only game in town when it came to robotics designed for warehouse pick-and-ship functions, Amazon’s move put all other warehouse operations at a serious disadvantage. That in turn created a stampede to develop alternative sources of supply for robots. It’s taken about four years, but today there are credible alternatives to Kiva brand robots now entering the market. Amazon’s uneven playing field is getting ready to become a lot more level now. But the other result of this “robotics arms race” is the sudden plenteous availability of new robot equipment, which companies like Macy’s, Target and Wal-Mart are set to exploit. The people who are slated to be the odd people out are … warehouse workers. The impact could well be dramatic. According to the Bureau of Labor Statistics, there are nearly 860,000 warehouse workers in the United States today, and they earn an average wage of approximately $12 per hour. 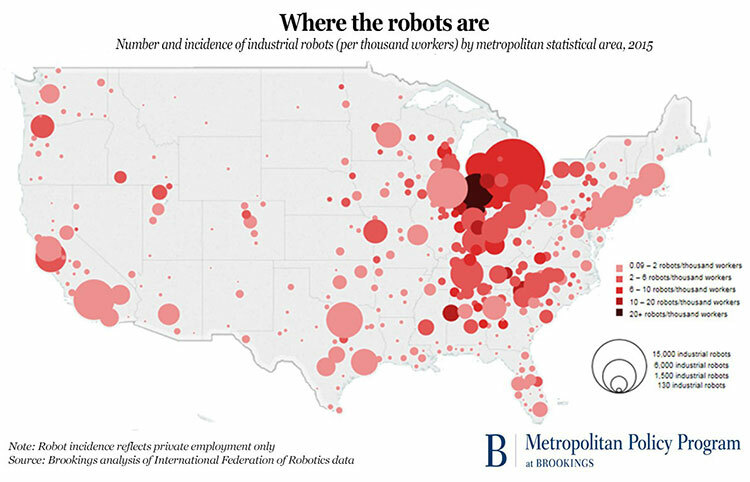 Not only is the rise of robot usage threatening these jobs, thanks to the sharp increase of minimum wage rates in areas near to some major urban centers is putting the squeeze on hiring from a wholly different direction. It’s a perfect storm the seems destined to blow a hole in warehouse employment levels in the coming years.